Is it Too Soon for Holiday Promotions? We Vote No. We hate to be the bearer of bad news, but if you haven’t been busy planning your brand’s holiday strategy, you’re already way behind the curve. Even if your business isn’t ready to start running holiday promotions, it’s imperative to already have the strategy in place. Here’s why. The timing and cadence for holiday communications are all over place, ranging from as early as Labor Day to post-Halloween. While every business chooses to begin deploying their holiday campaigns and promotions at different times, locking down a strategy ahead of time is critical to putting your best foot forward. In fact, retail giants like Target have already begun deploying campaigns to spark interest for one of the major Thanksgiving shopping days, Cyber Monday, with a September 30th email campaign . 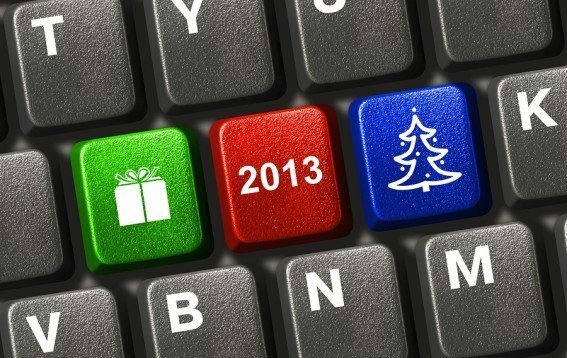 There is significantly less time this year to get your holiday strategy right. This year, there are only 25 days between Black Friday (Nov. 29) and Christmas, as opposed to 32 in 2012 and prior years. To complicate this, Hanukkah is beginning 11 days earlier than prior years (starting on Nov. 27), intertwining with the rush of Cyber Monday and Black Friday. This reduced time frame puts more pressure on retailers and marketers to be ready to fire with the best messages. We’re going to go out on a limb and assume you’ve already planned an omnichannel experience for your customers and integrating mobile, onsite, instore, email and social specific elements into your holiday strategy. It’s extremely important that all of the channels are considered holistically (only ample planning and strategizing will facilitate this), and that all functionalities run like a well-oiled machine when the big shopping days hit. No CMO wants to hear day-of excuses as revenue slips away. This means a lot of testing and refining – especially on the app and mobile side. Ensuring that images render properly, apps are updated for all of the most recent mobile operating systems (for example, the brand new iOS7), mobile emails are responsive, mobile site experiences are seamless with simple checkout processes and more minimizes the risk of losing out on any revenue opportunities. You must make sure every customer touchpoint is fine tuned to offer the best possible brand experience. As a best practice, we recommend that all campaigns for the entire holiday season across every channel are finalized and ready for deployment, by the latest, mid-October. We know this is a stressful time for all brands, especially on the retail side, so please stay tuned for more posts to come all things holiday marketing.